When deep in the Amazon rainforest of Ecuador, your phone signal can be a little... weak. But alas, an iPhone still has a purpose- I often struggle to explain to people the sheer enormity of some of the amazing species we see on a regular basis while in the field, so my iPhone became my measuring tape, just for you. 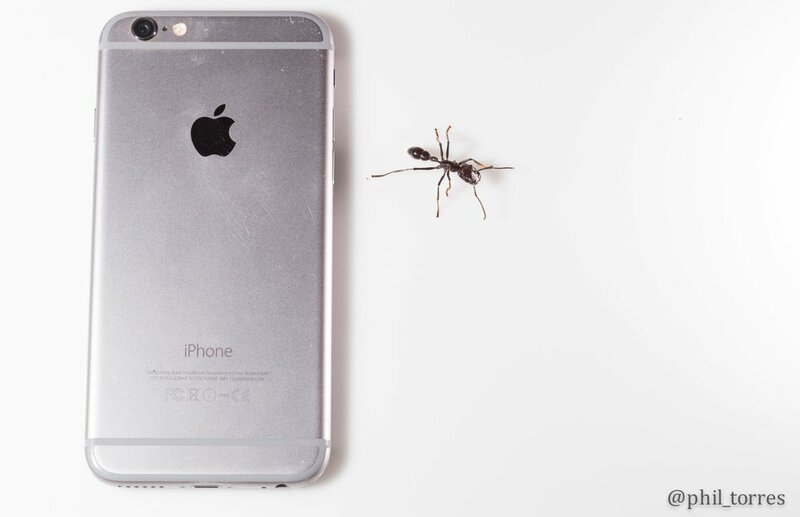 Take out your nearest iPhone (iPhone 6 in these photos), look at the size of it it in your hand, and then look at these. Tarantula (Avicularia sp.) in Yasuni National Park, Ecuador. The Bullet Ant - Paraponera clavata - is known to have the most painful sting in the world. I can attest first hand that yep it really hurts. 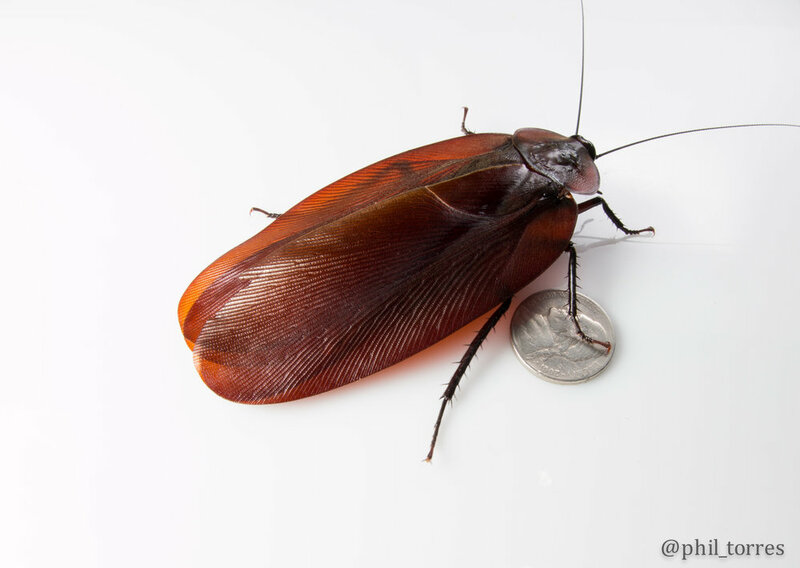 The largest winged cockroach in the world- Megaloblatta longipennis in Sumaco Volcano, Ecuador. 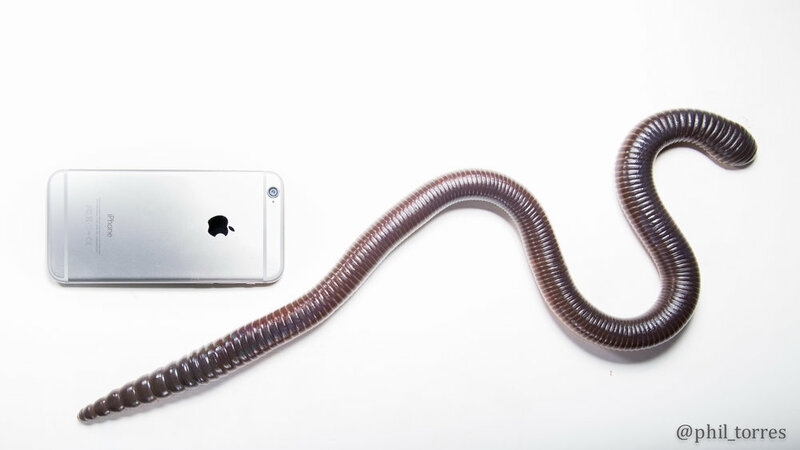 So, next time you take out your iPhone to check instagram, remember the world is full of incredible species as big as the thing you're holding in your hand. Photographed on Canon 6D or 70D with 16-35mm lens. Thanks to www.Yasuni.ec for hosting us, www.TropicalHerping.com for being my amazing trusty guides and photo instructors, and Aaron Pomerantz for being the ultimate flash and/or bug holding photo partner.